Bathroom Suites There are no products in this category. Welcome to 1 Click Bathrooms where we stock bathrooms, taps, sinks and showers. 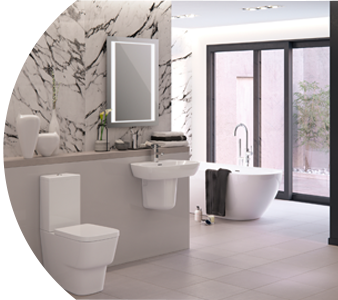 We stock products from some of the leading UK brands such as Cassellie, Frontline Bathrooms and Bridgepoint. Whatever your bathroom needs, we have it covered for you. At 1 Click Bathrooms we believe in 100% quality and 100% customer satisfaction. We aim to give you the best customer service and satisfaction...read more. At 1 Click Bathrooms we aim to give you the best offers possible at unbeatable prices. We understand customer satisfaction is important, therefore, we aim to give you high quality products for unbeatable prices. We’re always introducing brand new products with great offers, so be sure to have a look out in the latest offers box to benefit from these amazing deals...read more. Here we have selected a huge range of all our featured bathroom products. In this range you will be able to view the hand selected items by our team which are chosen very carefully. Be sure to find amazing products as well as exclusive products...read more. Find out more about 1clickbathrooms and get the answers to some frequently asked questions on our FAQs page. If you can't find the answer you are looking for please feel free to contact us today for more information...read faqs. 1 Click Bathrooms has been running with over 25 years. We are extremely experienced in the industry and have a huge range of products. 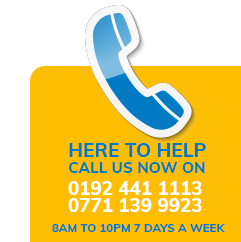 Our offices are based in Leeds with distributors around the UK providing you with extremely quick delivery times. At 1 Click Bathrooms customer satisfaction is our utmost priority and we aim to make sure our customers are pleased with us from the beginning of the process till the end...read more. Stay up to date with our latest offers and deals by entering your email address for regular updates. We accept these trusted methods for product purchases only, for more information Contact Us.